The Franklin Downtown Partnership will join the Franklin Garden Club to decorate the downtown for the holidays on Sunday, November 24. Any and all helpers are welcome. Interested volunteers for the annual Holiday and Winter Decorating Day should contact Eileen Mason, event chairperson, at emason11@verizon.net. All volunteers will meet at 9:00 a.m. on the center island downtown. Community service hours are available for students, and teams are encouraged to participate. The Partnership also has formed a “Downtown Clean Sweep Committee” whose mission is to encourage a clean and vibrant downtown. The FDP is looking for business owners to adopt a block and for volunteers to get involved in helping to keep the downtown free of trash, weeds and debris. 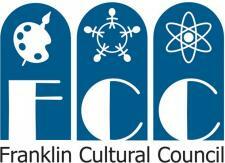 Additionally, the Franklin Garden Club is recruiting new members. The group meets the first Tuesday of the month at St. John’s Episcopal Church, 237 Pleasant St., at 7:00 p.m.
More information about downtown beautification efforts and sponsorship opportunities can be found at the Partnership’s website, www.franklindowntownpartnership.org/. The Franklin Downtown Partnership is a non-profit, 501(c)3 organization that runs events including the Holiday Stroll and the Harvest Festival and supports ongoing streetscape and revitalization efforts. For more information please contact Executive Director Lisa Piana at (774)571-3109 or downtown.franklin@yahoo.com.